Cornwall Ontario – Ontario East has snagged one of the most sought after business leaders in Ontario to deliver a keynote address at its upcoming municipal conference in September. 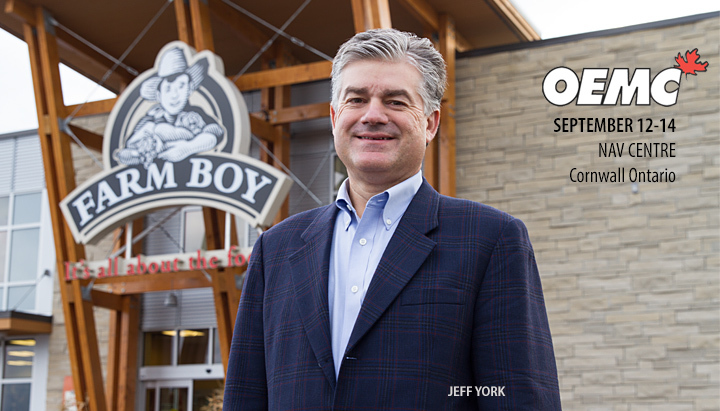 Born and raised in Ottawa, Jeff York joined Farm Boy in 2009 as Co-CEO with a mandate to expand the business. Farm Boy is an Eastern Ontario success story. The first store was opened in Cornwall by Jean-Louis Bellemare in 1981. 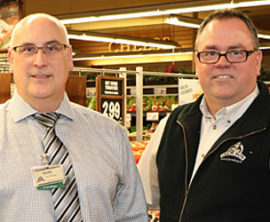 With the help of his brothers, the business expanded into a larger store in Cornwall and then to Ottawa, delivering a fresh market experience that has proven very popular with shoppers. Under Mr. York’s leadership, Farm Boy has since grown to become a major retailer in Ontario, with 26 stores in 11 different cities – with more to come. Mr. York will deliver the closing keynote address after which delegates will have the opportunity to tour the Walmart Distribution Centre in the Cornwall Business Park, the Cotton Mill District or the Historic Jail. OEMC is an annual conference that brings economic developers and municipal leaders from across eastern Ontario together for three days to share best practices and learn from other experts on topics of interest for economic development in their communities. Over 500 delegates from across Eastern Ontario are expected to attend. The conference will held at the NAV CENTRE, making it the first time in recent memory that the Conference has been held outside of Kingston. Established in 1989, OEMC has developed into the largest annual regional municipal and economic development conference east of Toronto. In addition to a busy 3-day schedule of seminars and workshops, OEMC also boasts a trade show and a robust social program that includes Taste of the Town – an opportunity for delegates to explore local restaurants. OEMC will be held September 12-14 2018. Registration is open now at OEMC.ca. The conference is organized by the Ontario East Economic Development Commission in co-operation with the Ontario Ministry of Municipal Affairs. Since 1988 the Ontario East Economic Development Commission has been a collective voice for economic development in Eastern Ontario. The Commission markets the region to key sectors, offering investors and site selectors a one stop location to connect with local Economic Development professionals. Located on the scenic shores of the St. Lawrence River in Cornwall, the NAV CENTRE is a full service conference centre offering access to 551 guest rooms and 70 dedicated state-of-the-art meeting rooms, spa, fitness centre with indoor pool and an Irish pub with live entertainment. The Centre can accommodate small groups of five to large groups of up to 500. 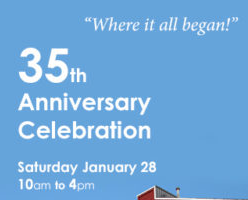 Learn more at www.navcentre.ca.